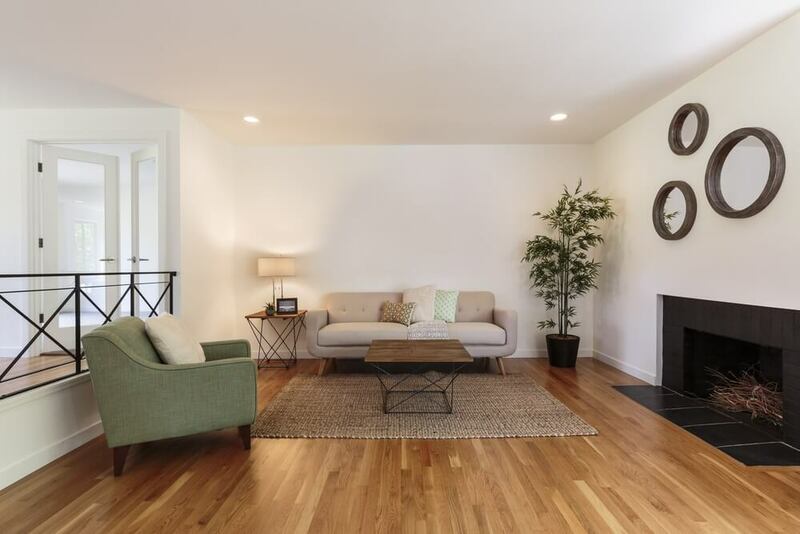 About 82% of future homeowners want timber flooring. There’s much to love about it! It’s beautiful, durable, and low maintenance. Plus, there’s a lot of varieties and styles to choose from. You have a lot of options! And that makes it hard to choose. 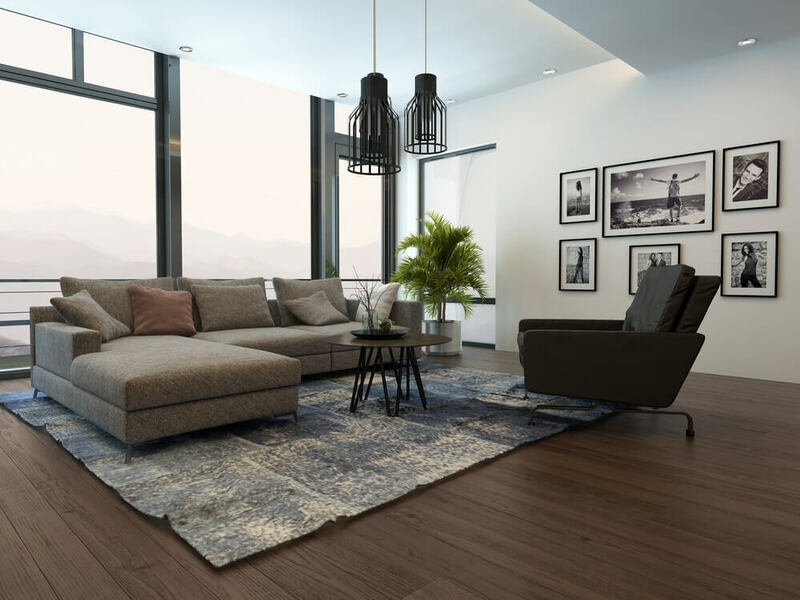 To help you out, here’s a quick discussion on the most popular timber flooring materials (and styles) in the country. Spotted Gum – Colour ranges from pale straw to chocolate brown and sometimes exhibit an olive or reddish stain. Perfect for high-traffic areas of the house. Blackbutt – Light, pale straw but you can stain it to achieve a richer floor colour. Tasmanian Oak – It has a light and neutral cream wood. A premium Australian hardwood timber. European Oak – It offers light to dark brown shades of wood. It’s strong, hard, and durable—it can last a lifetime in favourable conditions. American Oak – Clean looking, light coloured wood that you can customise to your ideal colour and finish. What factors should I consider when shopping for a wooden floor? You need to look at three main things: the colour, grade, finish, and width of the wood. Colour – The colours of the wood depends on the species of trees or plants that you’re buying. Confirm if the floorboard is natural or stained. Lookout for weathered building materials. These have patina and other discolourations. Sanding it will reveal the natural colour of the wood. Grade – The grade pertains to the veins and knots that you see on the floorboards. Do a little research to save you from buying a man-made composite that imitates wood. Always ask the manufacturer if the product you’re eyeing on is real wood, not veneer or a particleboard. Width – The standard width of floorboards is 80mm. There are wider and narrower boards available. It all boils down to how you want people to see your space. For example, wide and light coloured boards are best installed in small rooms to make the room seem larger. The wide boards laid perpendicular to the long sides of a narrow room will make the area seem wider. Having a bigger room gives you the freedom to use narrow or wide floorboards. Aim for proportion as it will give you more design flexibility in the future. Finish – Staining will enhance the colour, grain patterns of the wood. On the other hand, the coating can give your floors either a natural of a glossy look. It plays a part in stretching the lives of your wooden floor. What’s in style this 2018? The love for lighter-coloured timber is still here, but we see the brown and dark woods trend this year. Red timbers are becoming less popular nowadays. Think twice about staining anything with a reddish coat. I’m being offered more than one type of timber flooring in the store. How do I know the best one for me? 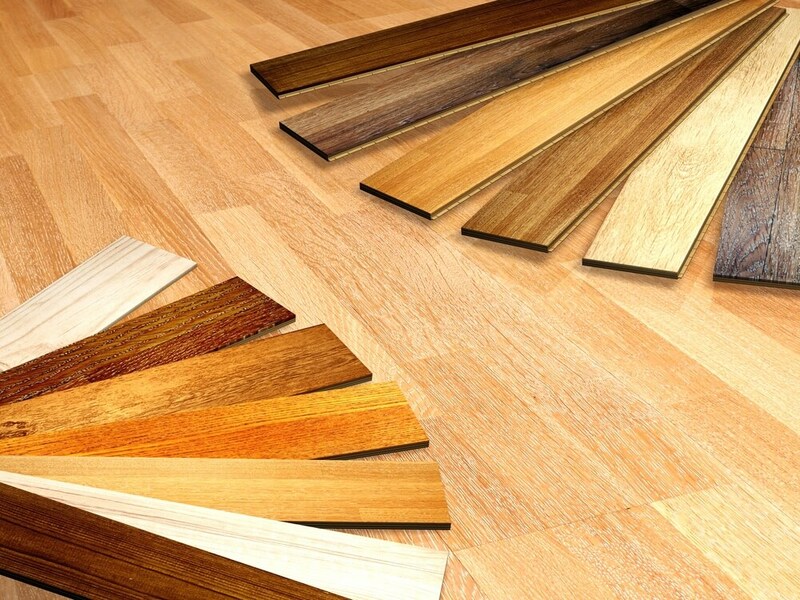 There are three main types of timber floors: solid timber, engineered timber, and the laminate. Walking on one feels different from the others. For example, solid timber floors will feel rigid. The other two might feel a little hollow, depending on how the builders installed them. Solid timber is a hardwood plank. Thick ones can be used as structural flooring. Thinner ones can be laid above an old subfloor. Fix it into place, sand it, and coat it on site. Laminate and engineered timber floors are often confused with each other. One thing is clear: neither are real wood. Engineered timber is made of real wood veneer laid over a plywood. More and more builders, designers, and homeowners use it as an alternative to solid timber. It can boost your property’s resale value, unlike the laminate. Laminate is only an image of wood on a fiberboard. Today’s laminates have textured surfaces that are similar to real wood already. Whether it’s solid, engineered, or laminate, timber flooring in wet areas like the bathroom and laundry are not recommended. Is there any timber flooring that’s a lot more sustainable from the solid, engineered, or laminate floors? Consider bamboo floors. The strength of the fused strands and stips of bamboo are intense. It’s long-lasting but it shrinks and swells over time. What other wooden floor designs can I do? I’m tired of horizontal and vertical layouts already. 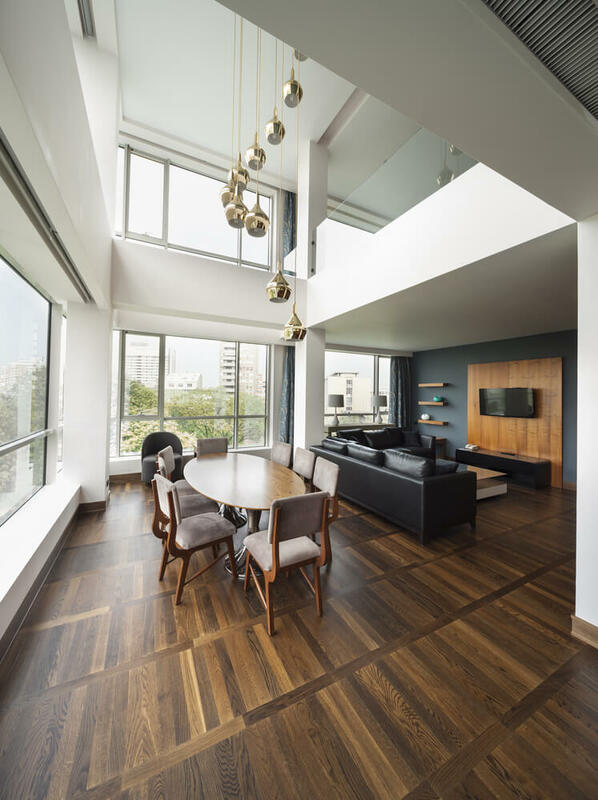 Go for parquet floors. It’s solid timber laid in a geometric and angular design. Solid timber in a square, rectangular, diamond, or triangular shapes form a floor mosaic. It’s decorative and it requires a longer installation time. 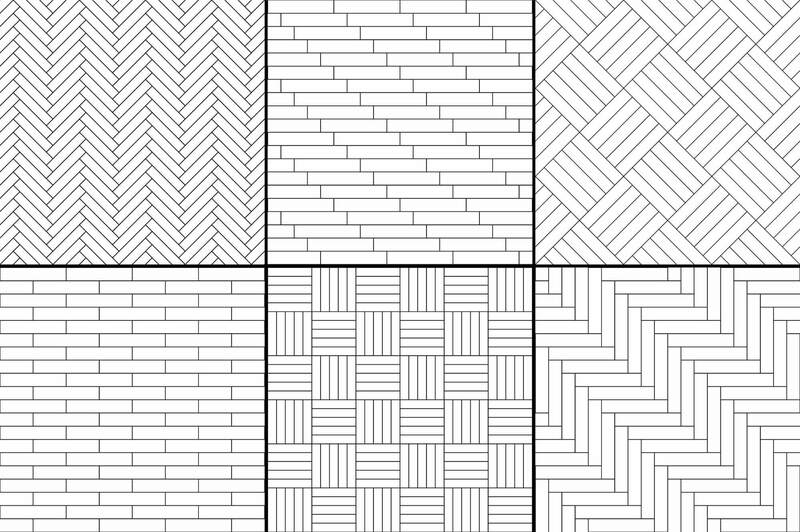 Different patterns you can try. Prices vary depending on a lot of factors. The final cost of your timber flooring depends on the material you’re using, the installation method, and the amount of work done. Solid timber is more expensive compared to a generic laminate floor. At the same time, high-quality engineered timber and laminate flooring might cost more than solid timber. Situations are not always the same. What you need to do is be smart about your options. Some indoor solid timber flooring materials are not fit for outdoor use. Outside, you can install a different decking board. For a seamless transition, ensure that the boards are of the same sizes and are laid out in the same direction. Other materials such as wood-imitating porcelain tiles make it possible to have the same indoor and outdoor flooring. Wooden floorboards are easy to maintain. Don’t skip the regular coating and you’ll be fine for a long period of time. Both laminate and engineered flooring have stunning surfaces but can be ruined by scratches. Chemicals from cleaners can destroy the protective layer too. Better to read the manual to see the best cleaning solution to use. 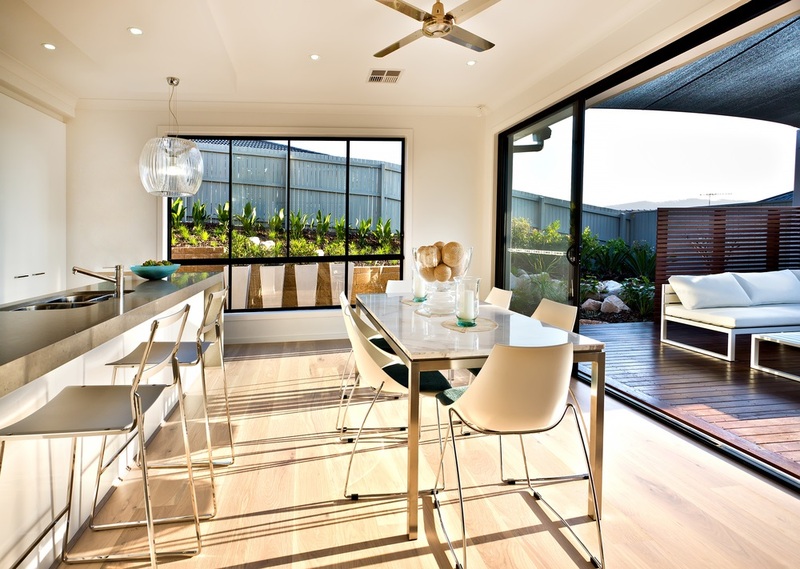 Get custom home designs from our Brisbane architects.